Step 1 : Flip hair upside down and whip it back up quickly. 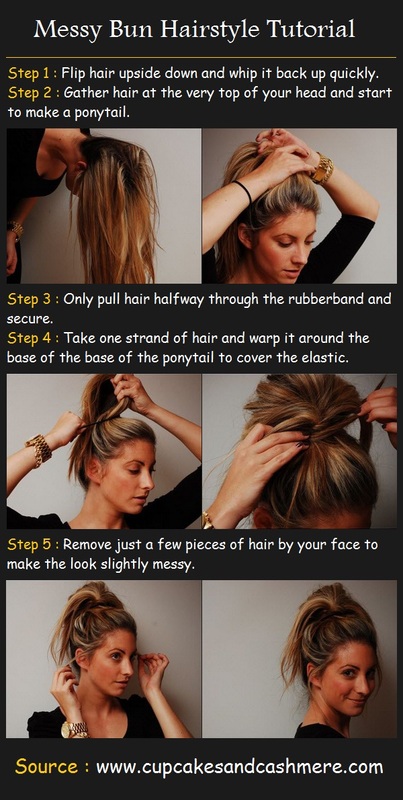 Step 2 : Gather hair at the very top of your head and start to make a ponytail. Step 3 : Only pull hair halfway through the rubberband and secure. Step 4 : Take one strand of hair and warp it around the base of the base of the ponytail to cover the elastic. Step 5 : Remove just a few pieces of hair by your face to make the look slightly messy.